The Steelers are in a better situation this year than they were heading into their divisional round playoff game last year. Antonio Brown and Le’Veon Bell both are healthy and ready to go for Sunday’s game at Kansas City. Ben Roethlisberger‘s arm is fully functional. Whatever damage was done to his foot in garbage time of the Steelers’ wild-card win over the Dolphins, it was nothing close to what Vontaze Burfict inflicted in last year’s wild-card game. That said, for the third-seeded Steelers (11-5) to reach the AFC championship game for the first time in six years, they have to win a divisional-round game on the road, which they’ve done just three times in their history. The most recent was their shocking 21-18 win at Indianapolis in 2005. Before that? You have to go back to 1984, when they beat John Elway and the Broncos 24-17 at Denver. It wouldn’t take such a monumental upset for the Steelers to beat the second-seeded Chiefs (12-4). According to Sports Book Review, the Steelers are 1.5-point underdogs. All the home teams are favored this weekend, but Vegas gives the Steelers the best chance to win among the underdogs in a game that has been moved from 1 p.m. to 8:20 p.m. because of ice storms in Kansas City. There’s a certain dynamic in the divisional playoffs where teams coming off wild-card wins face teams that are out-of-sight, out-of-mind because they’ve had a first-round bye. This often inflates the visiting team’s stock. While a Steelers win on Sunday is very realistic, there are plenty of reasons to beware the Chiefs. Can the Steelers stop Tyreek Hill? That’s the elephant-in-the-room question facing the Steelers in this game. The Steelers allowed 24.7 yards per kickoff return this season, third-most in the league. They allowed allowed 9.6 yards per punt return, ninth-most in the league according to ESPN.com. Rookie Tyreek Hill returned two punts and one kickoff for touchdowns this season. Hidden in the Steelers’ 43-14 win over the Chiefs at Pittsburgh in Week 4 were Hill’s two kickoff returns for a total of a 54 yards and two punt returns for 20 yards. The Steelers were heavy favorites against the Patriots in the 2001 AFC championship game, but were burned on special teams. They lost 24-17 with the Patriots scoring touchdowns on a punt return and a blocked field goal. The Steelers aren’t even favorites in this game, which gives them even less of a margin for error on special teams. Can the Steelers beat Andy Reid following a bye? Not only do the Steelers have to worry about a 5’10”, 185-pound missile on kickoff and punt returns, they also have to worry about that big tomato on the sideline. Or at least that’s what Andy Reid looks like when he wears red. The Chiefs earned a first-round bye with the No. 2 seed. Reid is 19-2 in his career coming off a bye week. That includes a 3-0 mark in the playoffs, although those three postseason wins came in another lifetime. He coached the Eagles to three straight divisional-round home wins from 2002-2004. That much be ancient history, but Reid’s bye-week prowess is as evident as it’s ever been this season. The Chiefs had their bye after losing 43-14 at Pittsburgh, then in Week 6 went to Oakland and beat a 4-1 Raiders team 26-10. The Raiders won six straight after that, then went to Kansas City and lost 21-13. The Chiefs won at Denver after last year’s bye week, beating the eventual Super Bowl champions 29-13. The Chiefs had won two straight before the bye week after a 1-5 start, but neither win was very convincing. They beat the Steelers without Ben Roethlisberger and then beat the Lions at London. But after the bye they showed they were for real by beating Denver, and ended up winning 11 in a row. That’s what happens when Reid has two weeks to prepare. Can Ben Roethlisberger take his show on the road? Ben Roethlisberger’s road performance this season and the Chiefs’ penchant for takeaways are a bad combination for the Steelers. Roethlisberger has thrown 20 touchdown passes and five interceptions at home this season. On the road, he’s thrown nine touchdown passes and eight interceptions. Roethlisberger has completed 70.8 percent of his passes at home and only 59.4 percent on the road. The Chiefs, meanwhile, led the NFL with 33 takeaways and tied for the league lead with 18 interceptions. Since the game-winning drive that brought the Steelers their sixth championship in 2008, Roethlisberger has thrown nine touchdown passes and nine interceptions in eight playoff games. If Roethlisberger doesn’t take care of the ball Sunday, the Steelers will be lucky if they’re in position to win with a last-minute drive similar to Super Bowl XLIII. Can the Steelers beat a legitimate starting quarterback? Nobody puts Alex Smith on their list of the NFL’s top 10 quarterbacks. There’s no disputing that he’s a starting-caliber quarterback in the NFL, but if he were a guy in the dating world he’d always be in the friend zone. In the playoffs Smith has been a “friend” who can be trusted … with the football. Smith has thrown 11 touchdown passes and one interception in five playoff games. He’s 2-3 in those games. He hasn’t brought the 49ers or the Chiefs to the Super Bowl, but he’s better than the last two quarterbacks the Steelers have beaten in playoff games. Last Sunday’s win came over backup Matt Moore and last year’s win at Cincinnati came against backup A.J. McCarron. In between, the Steelers lost to creaky-armed Peyton Manning. The last time the Steelers faced a formidable starting quarterback in the playoffs, they lost to Joe Flacco and the Ravens in 2014. But the Steelers did beat Andy Dalton on the road and Flacco at home in critical December games this year. It will take that kind of performance to keep Smith from busting out of the friend zone Sunday. On the bright side, the Steelers are 5-2 against the Chiefs since Roethlisberger’s career started, and the Chiefs have never beaten the Steelers in a game that Roethlisberger has finished. Landry Jones started at Kansas City last season, a game the Chiefs won 23-13. In 2009, the Chiefs beat the Steelers 27-24 in overtime. Roethlisberger left that game with a concussion. How hard is it to win at Arrowhead Stadium? 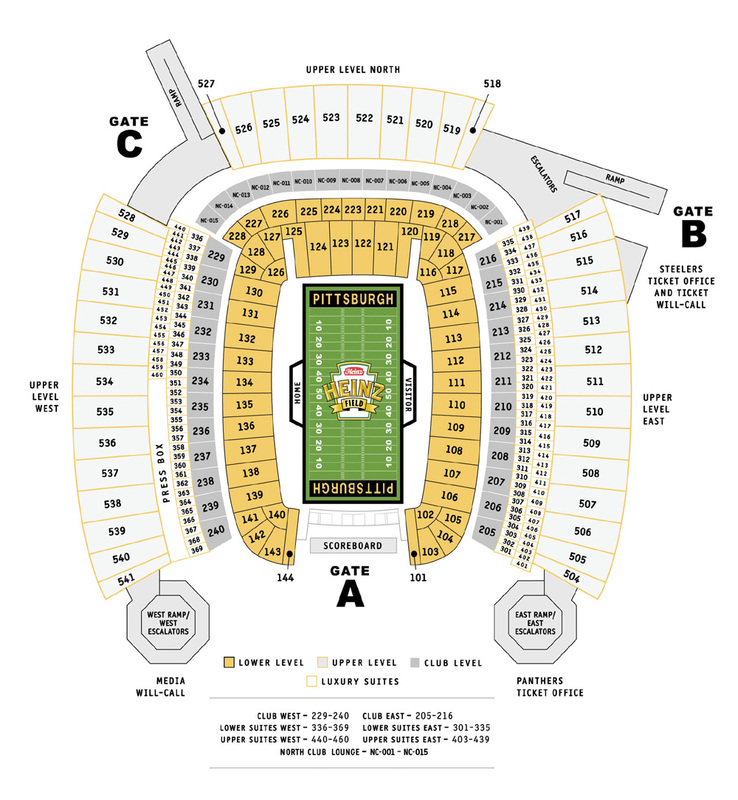 The venue where the game will be played is one of the Steelers’ easier hurdles. There is a certain mystique associated with the Chiefs’ home-field advantage at Arrowhead Stadium, but winning there isn’t as hard as it’s made out to be. Since 2013, the Steelers and Chiefs both are 23-9 at home. They’re tied for the league’s seventh-best home record during that time. The Patriots’ 28-4 home record is the best. Arrowhead might have reclaimed the crowd-noise record from CenturyLink Field, but the Seahawks have a better home record (26-6) than the Chiefs since 2013. The Broncos are tied with the Seahawks for the second-best home record since 2013. The Bengals are (23-7-2) are fourth in that category, the Packers and Cardinals (both 23-8-1) are tied for fifth and the Panthers join the Steelers and Chiefs in a tie for seventh. The last four years are used as the time frame because the Chiefs hired Andy Reid as coach in 2013 and they’ve had a winning record every year since. The Steelers are 10-7 all-time at Kansas City, but the last time they’ve beaten a Chiefs team that’s made the playoffs at Arrowhead was 1992. The good news is that the two quarterbacks who have won at Arrowhead this year are the top two picks of the 2015 draft, Jameis Winston and Marcus Mariota. If they can do it, so can Roethlisberger.